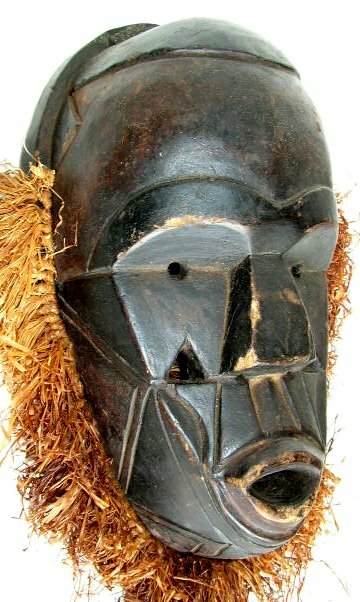 Lulua is an umbrella term, which refers to a large number of heterogeneous peoples who populate the region near the Lulua River, between the Kasai and Sankuru rivers. 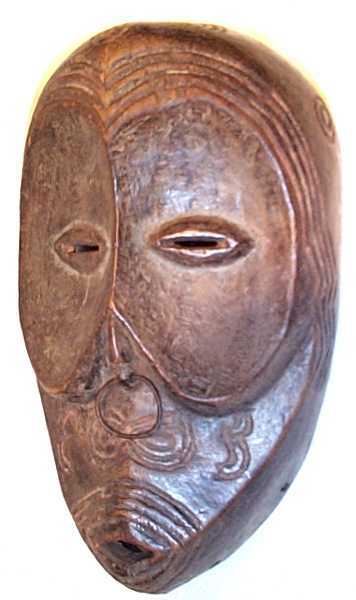 The Lulua people migrated from western Africa during the 18th century and settled in the southern part of the Democratic Republic of the Congo (formerly Zaire). They number 300,000 and live in small regional chiefdoms and in times of crisis elect a common leader. The role of the village chief is to insure juridical, political and social cohesion. 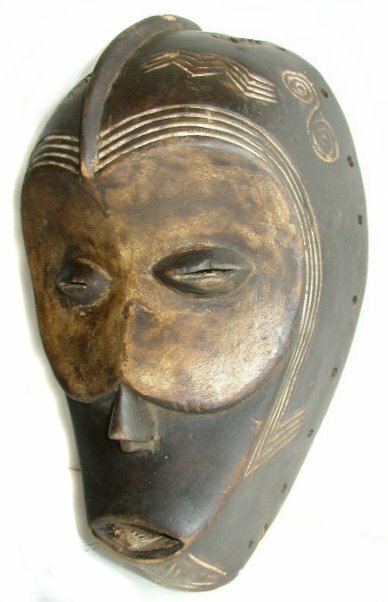 During the late 19th century, Lulua culture underwent radical changes. 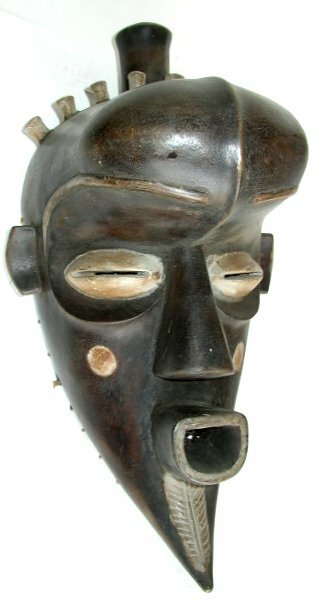 In 1875, the Lulua king, Kalambam, introduces new social and religious regulations, which ended the traditional palm-wine drinking and hemp smoking. Their economy is mostly based on agriculture, hunt and trade. Primarily farmers, Lulua women grow manioc as a staple crop, as well as beans, sweet potatoes, maize, yams, peanuts, and bananas. The men are responsible for clearing the forest and preparing the soil for cultivation. They also hunt, fish with nets, and trap animals in the surrounding forests. Salt is found in the region and is collected and sold to neighbors to generate income. 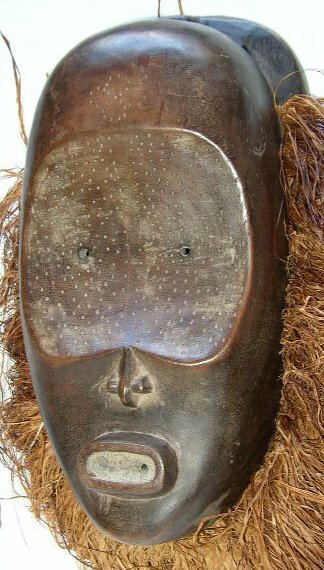 The Lulua statuary is remarkable in the degree of its scarification, a manifestation of a wish to be socially differentiated. These marks must be very ancient as in 80th of 19th century they were no found on the Lulua themselves. 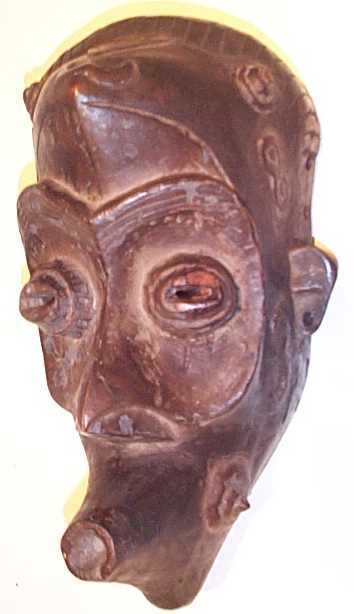 The statues represent great chiefs with beards and insignia, and these effigies would be planted in the ground to protect the household when the head of the family was absent. 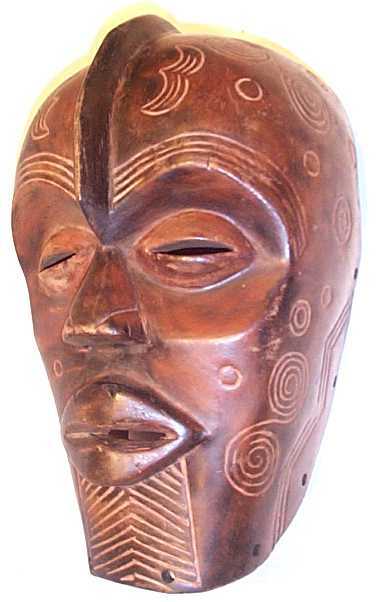 These male figures depict warriors-chiefs who often hold a ceremonial sword and shield, or a cup. Sometimes knives and other paraphernalia hang from the belt. 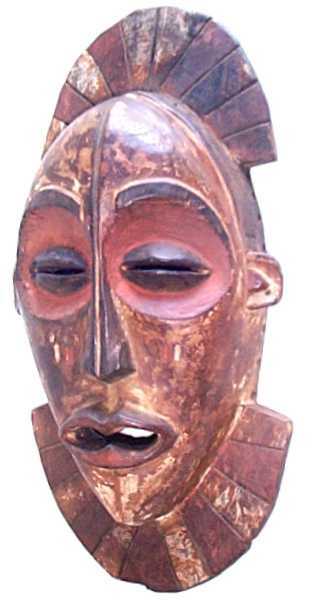 The most famous statuettes are the mbulenga, or female charm statuettes. 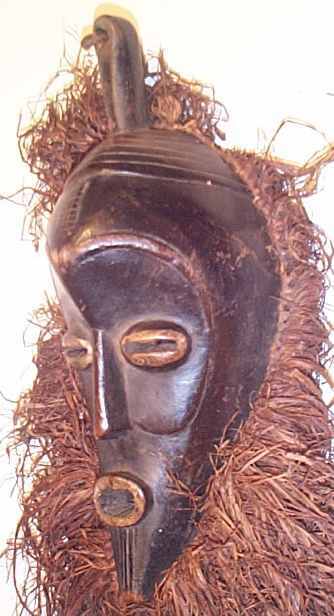 The chibola are maternity figures that, when worn on the belt, protected the newborn child or the baby about to be born: the chibola would stand watch over childbirths. The protruding abdomen of the woman emphasizes the importance of the lineage. Other figures are in crouching or squatting positions with raised hands resting on the neck and the oversize head. It is said that this position corresponded to the burial form, and in all probability these statues represent ancestors. 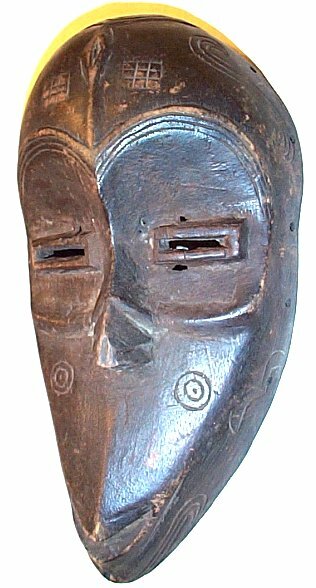 Other statuettes with truncated bases protected against sorcerers, thieves, and lightning; they were used in divination sessions, and could bring about bad luck. Crouching figures with receptacles on their heads were used as hemp boxes by the hunters, who attached them to the belt and spoke to them, and they brought him luck on his return. During the hunting ritual, the statue would be fed and placed on a small earth hillock to witness the hunt. Warrior statues are also numerous. 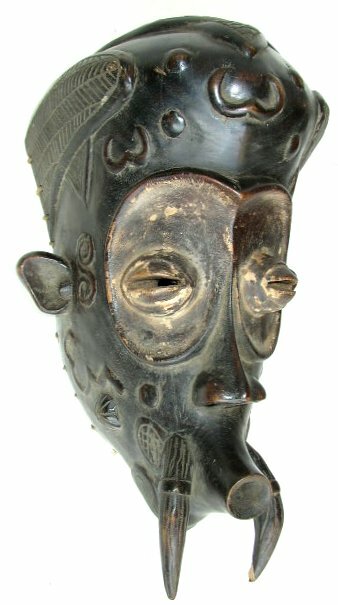 Large standing figures, carrying a cup, were charms of beauty and luck inhabited by ancestral spirits. These statues participated in the investitures of chiefs and at their funerals. One should note the importance of the head, which frequently comprises a quarter of the total dimension of the figure. The hairdos generally end in a point and have tufts of hair emerging from the back of the skull. 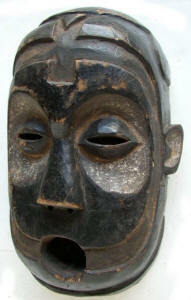 The horn projected from the top of the head symbolizes power. The neck is long, the shoulders tattooed, the breasts small and pointy. The position of the arms at right angles expresses virile strength. The navel is often pointed, surrounded by concentric circles that symbolize life. The legs are short. 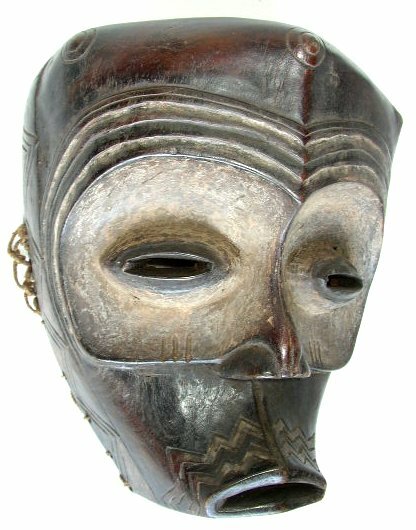 As for Lulua masks, the heterogeneous composition of the people and the considerable area they occupy, explain the many stylistic overlappings with their neighbors. 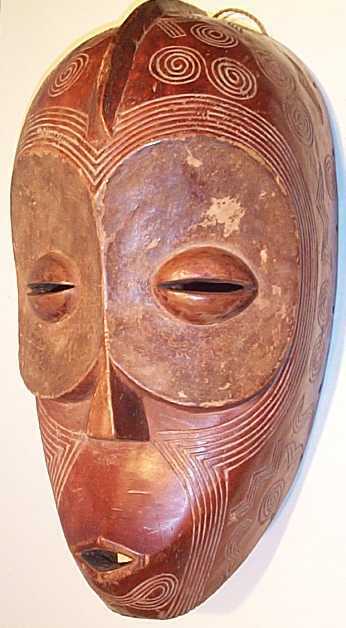 The formal and functional diversity of the masks testifies to the region as an ethnic crossroads and sometimes makes it difficult to confirm their origin. 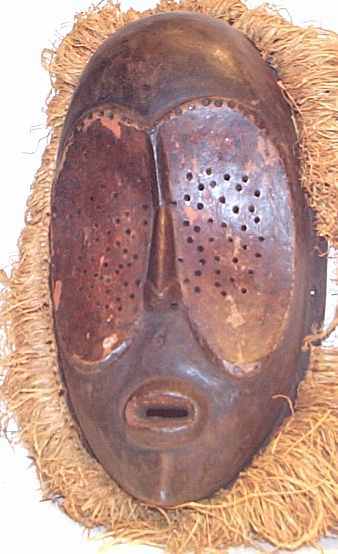 One can distinguish at least two categories of wooden Lulua masks. 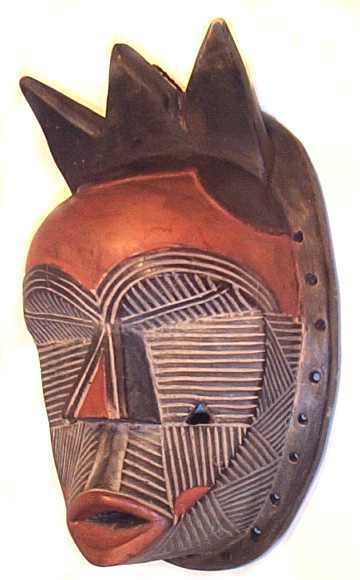 The first group consists of face masks with concave eye-sockets and intricate geometric painted patterns; the second consists of face masks with concave eye-sockets, simpler patterns, and plank-shaped crest. 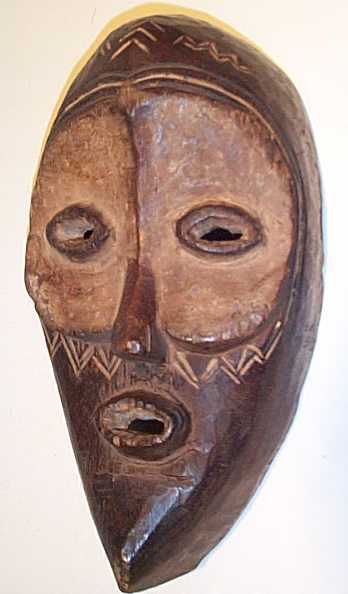 Lulua masks with their pointed nose and deep eye-sockets were probably used during circumcision and funeral ceremonies. 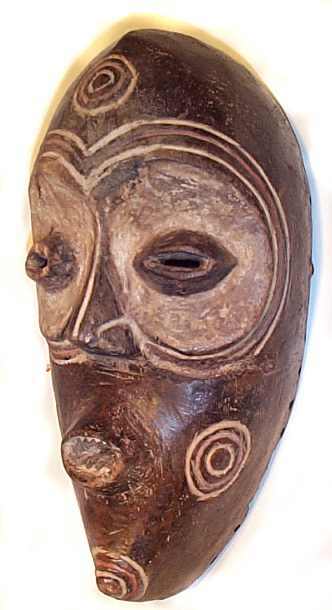 The Lulua also make pipes, tobacco mortars, neck-rests, hemp jars, drums, combs, small hunters flutes, and adzes.